follow the exercises in the book and let go of stuck energy from painful, past experiences. Hello, my name is Wayne Kauppila and my passion is teaching people how to forgive. Why is this my passion? Because I have seen so much positive change in people’s lives who have practiced the methods of forgiveness that I teach. I also, have benefited from forgiving. I was raised by two physically abusive parents who were also emotionally unavailable due to their Scandinavian stoicism. As a result, I became an angry, rageful, defiant young man. I got married and continued the cycle of physical abuse of our own children. I was also becoming an alcoholic. I entered therapy and for three years worked on my issues with EMDR therapy, but I was still angry. I finally learned how to forgive and my anger was healed. I was able to forgive my parents and I came to believe that my own children could forgive me for hurting them. During this time, I was also attending the Graduate School of Addiction Studies at Hazelden in Center City, MN. I graduated with a Masters degree and then worked in several addiction counseling businesses. In working with addicts and alcoholics, I began to see the devastating effects of carrying resentments from all types of abuse. I would sporadically ask them to try forgiveness and almost without exception, they would experience tremendous amounts of healing in a short time. One of the clients asked me to put the process down in writing so that he could help his friends to find healing. So, I wrote my first book, Opening The Door To Freedom With Forgiveness Therapy. I continued to develop the forgiveness process by teaching groups on forgiveness and also conducting one-on-one sessions with clients who wanted to heal their resentments with forgiveness. A tragedy happened in my own life when my wife of 31 years left me for another man with whom she was having an affair. Now, I had to choose to practice the forgiveness process I had been teaching or surrender to my feelings of rage, anger, loneliness, hurt, betrayed, etc.,etc.,. This would have lead to my eventual relapse back into alcohol use. I must admit, I am a slow forgiver as it took me 2 1/2 years to completely forgive her. And today, I can honestly say that I am grateful for the marriage I was in. I have continued to work in the field of addiction treatment and continue to learn from my clients. 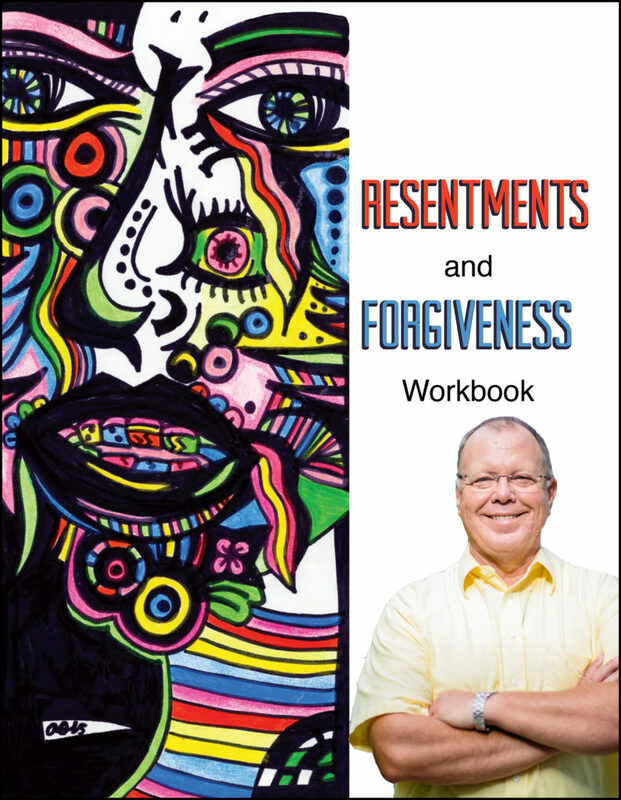 This learning has motivated me to write a workbook titled, Resentments and Forgiveness Workbook. Hopefully, this workbook will fulfill the needs of people without the extra philosophical, religious, ethical and spiritual searching and justification from my first book. The workbook has already helped hundreds of people find healing from their resentments. My hope and mission in life it that this workbook will eventually help millions of people find healing. Are you acting from a place of subconscious, negative emotional energy? Learn how to free yourself so you can act from a place of love, creativity, and joy! © 2017 · howto4give.com Theme by HB-Themes.